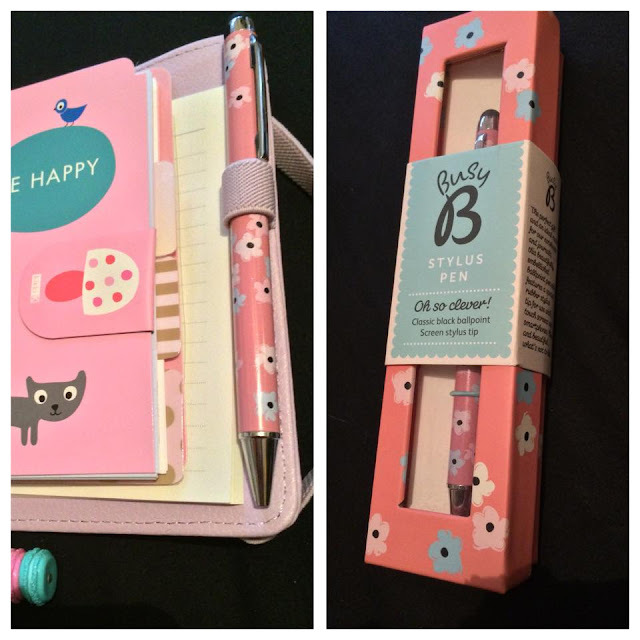 I've been swooning over Busy B for a while but haven't been able to justify buying more stationery as I have bought soo much recently. So, as you can imagine, I was over the moon when I got the opportunity to work with Busy B! Sorry guys I'm about to be an enabler.. I chose their Stylus Ballpoint Pen in their Pink Floral design. This isn't just a regular pen, it's actually really clever. On the top of the pen there is a rubber stylus tip which can be used on touch screen devices. I think that this is a brilliant idea! Busy B sell a wide variety of stationery such as magnetic notepads for the fridge, diaries, sticky notes etc. All their products come in the cutest designs - perfect for brightening up your desk! Check Busy B out on Facebook, Pinterest and Twitter!